This is just one of the many reasons. Look at this man. Look how cheerful and rosy cheeked he is. Now, look at the way he’s cradling that gargantuan onion. Like it’s his baby. In fact, it is. He had been raising giant onions for 25 years when he finally won the Guinness world record for largest onion. Thank you, Peter Glazebrook, for reminding me that there can be delight in just about anything. 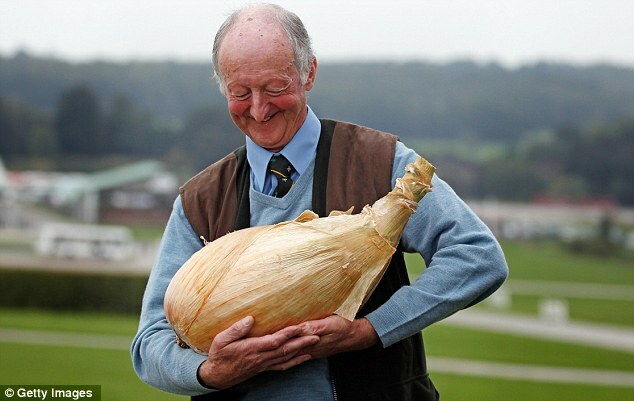 More on Mr. Glazebrook and his 17lb 15oz onion here.